Atmospherics: Those who have been dining at Made in India in MBD Radisson, Noida may know Chef Shams Parvez. He has recently left the hotel to start up his own venture. 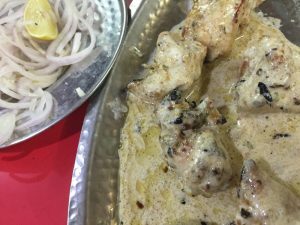 Zakir Nagar is not known for fine dining outlets, but Ar Razzaque does stand head and shoulders above the others in the row for its cleanliness, well-designed open kitchen and processes that are normally not found outside a five star kitchen. It is far from being a glamorous joint, but they do catering and home delivery as well. If you visit the outlet, do park in New Friends Colony and take a cycle rickshaw: the narrow lanes of Zakir Nagar do not inspire confidence. All the dishes are served in half portions as well, so if you are a student on a budget, you can eat a tasty meal for Rs 200! Table talk: The printed menu is extremely brief and contains only chicken with one lone paneer dish. It is strictly for the local market who likes the price point of a chicken dish vis a vis the quantity. For his catering, Chef Parvez will happily provide lamb, vegetarian or even a couple of entry level western dishes. 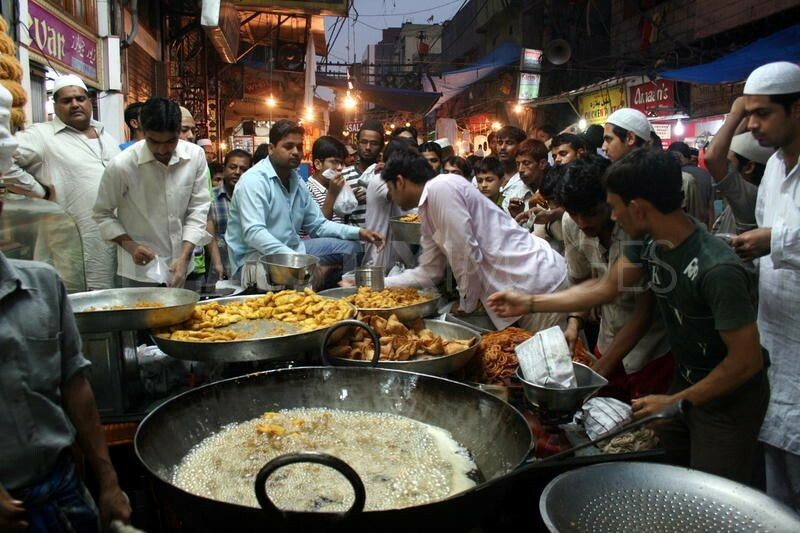 However, if you visit the outlet, do not miss the Special desi ghee wala Bhatti ka murgh (Rs 225/450 half/full). The chicken is cooked through, retains a firm bite and has the whiff of pure ghee as well. My favourite however, was the chicken Afghani (Rs 220/440). The hint of cream sauce that was poured over the chicken roasted on the bone elevated it from an elemental snack to a sophisticated one, albeit with the spice hit intact because of pepper. Achari Chicken Tikka (Rs 180/360) is another unusual dish with a dash of gravy, pleasantly tangy though not mouth-puckeringly so. There is one main course that changes daily. On the evening of our visit, it was Chicken Qorma (Rs 160/320) that packed a mean punch of spices in a curd-based gravy. Though there are naans, parathas and a qeema kulcha, we stuck to the tandoori rotis for the modest sum of Rs 5 each. Plus and minus: The Tawa section comprises chicken changezi, butter chicken and chicken pepper tawa in addition to a chicken biryani. Those were the crowd pleasers and lacked the refinement of the Bhatti section. 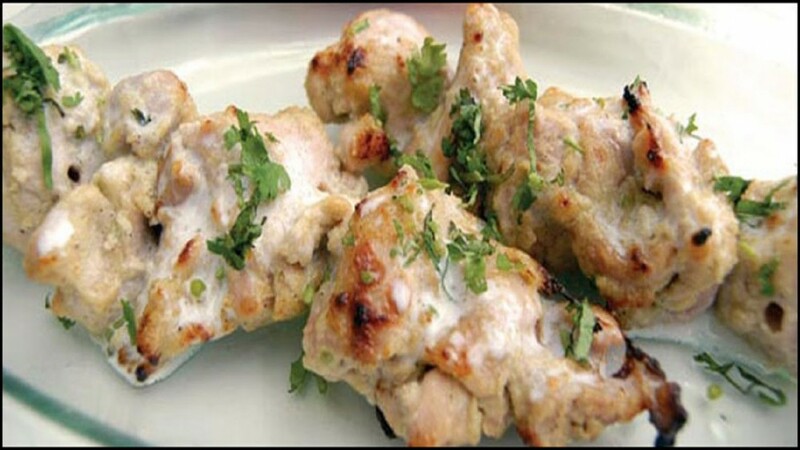 Must try: Butter roasted chicken, murgh malai tikka, zaffrani chicken.